You will find the 144 islands that make up The Bay of Islands approximately 230 kilometres or a 3 hour drive north of Auckland. This area of New Zealand is rich in history. It is believed the first Māori Voyager Kupe arrived here over 1000 years ago and where the first missionaries settled in the early nineteenth century. Your drive north from Auckland will take you through beautiful countryside, past untouched golden beaches and small rural towns before reaching the seafront township of Paihia. The Bay of Islands is the perfect place to do as little or as much as you please. Jump on a boat from Paihia and spend your day snorkelling or swimming with the dolphins. If you prefer to stay dry then there are plenty of boats willing to take you on a tour around the islands – don’t miss the famous Hole in the Rock on Motukokako Island! Prefer to see the islands from the sky? At 16,000 feet skydiving is exhilarating way the get a spectacular view of the 144 islands. If 16,000 feet is a bit too much for you then perhaps parasailing at 1200 feet is a better alternative or better yet a scenic helicopter ride. On land there are plenty of options for scenic walks, bike rides, Māori cultural shows, golf, wine, food and craft tours too. There is plenty to see and do, note these towns down as worth visiting during your time in the Bay of Islands. Kawakawa is considered the gateway to the beautiful Bay of Islands and is made iconic by its unique entrance sign and famous public toilets. Both constructed by local Austrian born artist and believe it or not the toilets are a must see! Kawakawa is sometimes referred to as “the train town” owing to The Bay of Islands Vintage Railway running through the town centre. The railway was the North Island’s first passenger railway service and is still working today. Paihia is a great place to start and provides a great base to your Bay of Islands trip. If you plan to extend your day trip over night, then Paihia has an extensive selection of accommodation perfectly paired with delicious restaurants and an bustling town centre. Russell was once known as the “hell hole of the pacific” due to its lawless nature. It is now more often referred to as “romantic Russell” and a delightful place to visit. Despite being small, Russell was New Zealand’s first capital and is just a short ferry ride from Paihia. Russell is a charming quaint town, rich with history. You won’t find a better place to unwind and relax. 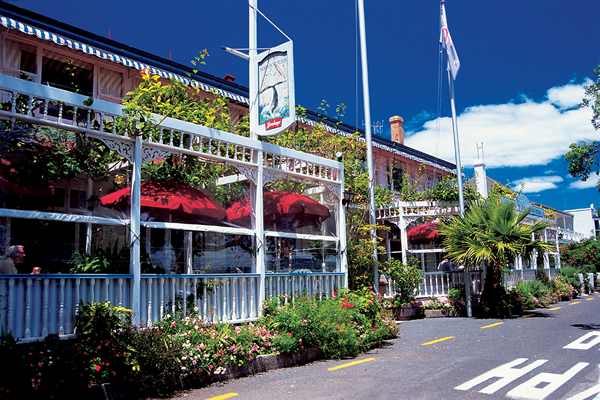 Walk or cycle the beautiful coast line, wander the art galleries or indulge in Russell’s restaurant and bar culture with includes New Zealand’s oldest pub, the Duke of Marlborough. Kerikeri is known for its creative personality and is home to a number of potters. As you drive into the town a corridor of orchards greets you. Each with roadside stalls selling you fresh delicious seasonal produce. Visitor can fill their time easily visiting boutique wineries, galleries and restaurants. 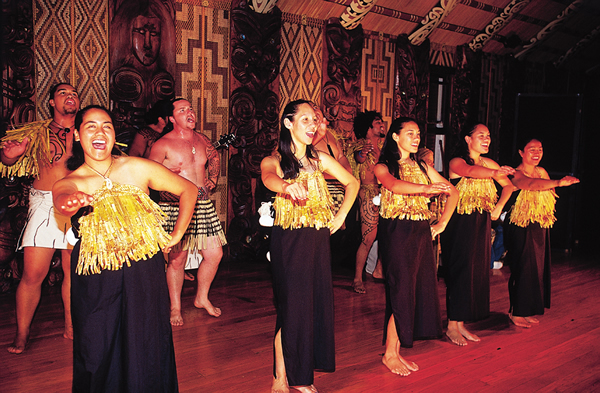 Waitangi is one of New Zealand’s most historic sites. It was here in 1840 Māori and Europeans signed the Treaty of Waitangi which resulted in the British sovereignty over New Zealand. 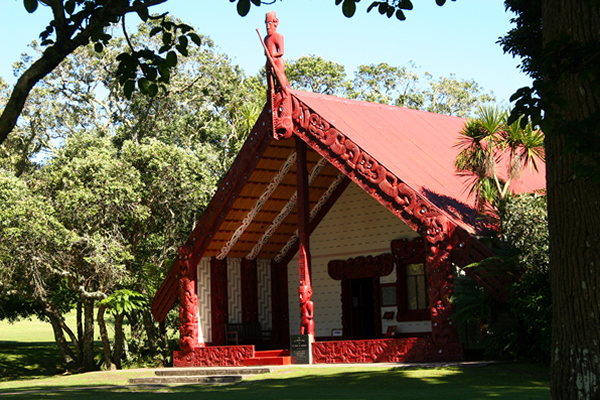 Visiting this site provides the opportunity to learn about the vast Māori culture and historical events that make New Zealand what it is today. If you are ready to see all that The Bay of Islands has to offer, contact our team at Corporate Coachlines and see how we can get you there.